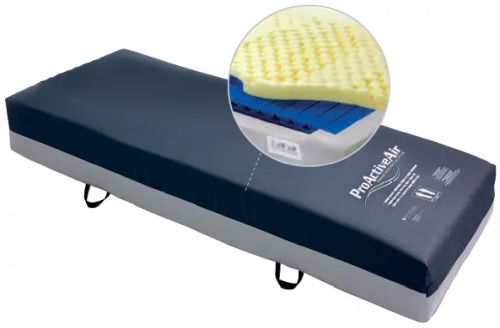 ProActive Air™ Plus Pressure Redistribution System features a combination of a convertible non-powered design, along with the option to provide alternating pressure therapy. 35"x75", 35"x80", 35"x84"; height: 7"; available with or without raised edge. 42"x80", 42"x84", 48"x80"; height: 7".